33 miles according to the guide, a lot longer according to us and even further than that according to Mary! The bulk of our party drove up to Ulverston on the morning and rendezvoused at the railway station to catch the 9.36am back to Grange-over-Sands where we met, for the first time, Maxine and Anne. A coffee and a toasted teacake were the order of the day and we were well served at Mulberry’s Café at the very start of the route. Those calories were soon burned off as we had a steep climb up through Eggerslack Wood to Hampsfell and the amazing topograph at what is known as the Hospice. Taking it clockwise from the South this lookout has stunning views across Morecambe Bay, out to the Irish Sea, into the mountains of The Lakes and out towards the distant, but visible, Yorkshire Peaks. Invigorated we descended into the picturesque and quite unique village of Cartmel with its wonderful priory, racecourse and a café that we reluctantly had to bypass as time was pressing on. Here the trail does a big loop down to Cark and we had to discuss the route in whispers so that Mary didn’t catch wind of the possibility of a shortcut – God Forbid! From here we had a steady climb through quite beautiful wooded limestone crags following the Cumbria Coastal Path up to Grassgarth Heights before dropping down to the lowland sanded banks of the River Leven Estuary at Greenodd. For some inexplicable (to us anyway) reason the official route here goes along the A590, quite possibly the busiest A road in Cumbria, so we had predetermined on an alternative route to the magnificent Hoad Hill Monument above Ulverston. It added a couple of miles onto the day but it was well worth it to get away from that busy, and dangerous, road. 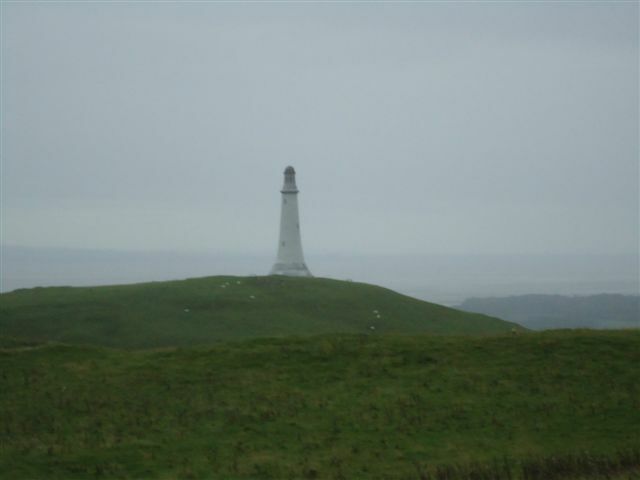 Hoad Hill just has to be seen to be believed with its wonderful Edison Lighthouse Memorial to Sir John Barrow. Here we encountered the first rain of the day but as the forecast had been pretty dismal we had to count ourselves extremely fortunate. Now we had a race against time to get down into Ulverston for Maxine and Anne to catch the 6.30pm back to Grange. Sadly they walked on the platform as the train departed at the other end and Anne’s husband had to come and pick them up. For the rest of us it was back to the comfort of Brenda and Ken’s lovely Virginia House then, on Brenda’s recommendation, an evening meal at the Farmer’s Arms with just about the largest portions of delicious food we have ever seen served up. This was the first day of an amazing late September heatwave with temperatures soaring into the mid seventies. Before we could properly get underway our two Good Samaritans, Linda Jane and Mary, had to find a callbox to report to the RSPCA a starving farm dog we had encountered late the previous afternoon. Bless their cotton walking socks! Where the first day was full of breathtaking views, day two is one of amazing history and heritage stretching back to the 7th and 8th centuries and the days of the Cistercian monks. We warmed up with quite a leisurely start but we did get our first real views of Barrow and the Irish Sea and the evidence of what a thriving, wealthy and important region this once was. Great Unswick and its Tarn were quite a treat with every conceivable breed of duck and goose running loose and putting on a show for us. Talk about free range! It appeared they had been given the run of the village. From here to Dalton we had another trek across agricultural land with many of examples of the iron ore workings which had been the foundation of the wealth of this corner of Cumbria. In Dalton we marvelled at the old buildings, the 14th century Pele tower Castle and the magnificent St Mary’s church. We also scratched our heads in amazement that there is a zoo! After a bite to eat in the market square and a laugh at the corny old jokes of the local handyman we continued our journey following the railway line and Poaka Beck. 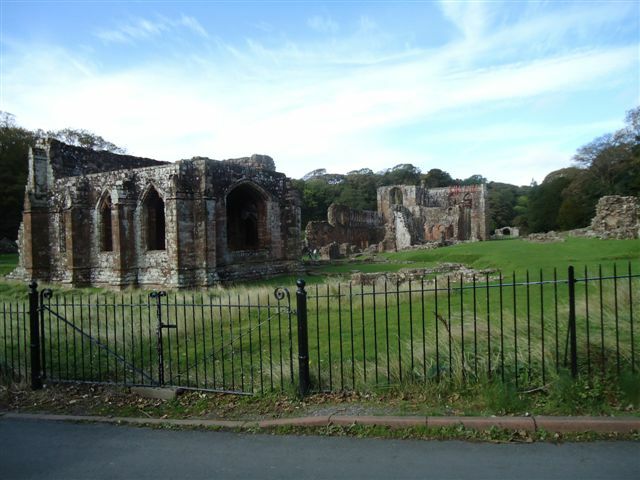 At the entrance to Furness Abbey we stopped for lunch, using the picnic tables of the pub which is up for sale. A very informative gentleman walking his dog explained to us that what we thought was a massive stand alone pub had once been the end room of a stunning hotel. Where we were sat had been a massive conservatory running the length of the building. Ten yards away was the railway line and he explained further that over in the trees had been the most magnificent country house, the residence of the local coal and iron mining magnate. He even had his own branch line off the main track so his personal carriage could be linked up at his whim. 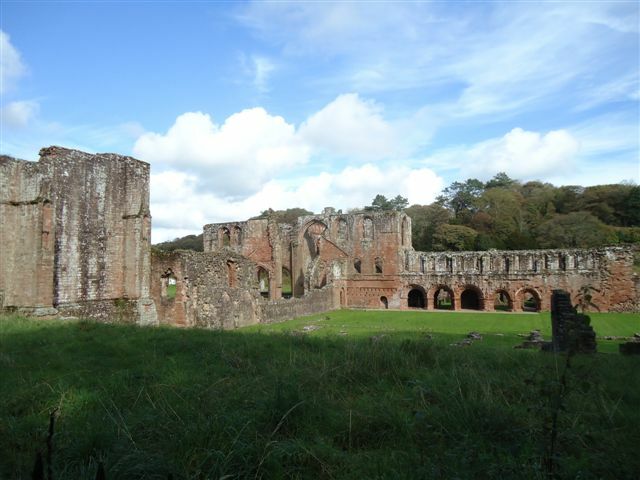 If you have never seen the ruins of Furness Abbey they are worth a day’s journey on their own. It must have been the Wembley Stadium of its day, quite breathtaking. The latter part of the route to Barrow meanders and undulates to the tip of the peninsular testing the patience and the navigation skills. That end stretch does sap the energy and enthusiasm and it is a relief to get on the coast road. Strictly speaking the Cistercian Way continues and runs the length of Walney Island but we left it at Old Roose. A helpful local lady pointed us in the direction of the railway station and we were soon on our way back to our digs at Ulverston. Andy and Jeanette had to get off home but the rest of us were able to sample the wares of the Farmer’s Arms’ sister pub the Rose and Crown. The portions were just as large as the previous night. Two double glazing installers that we had a laugh said they had travelled the entire country for 25 years and this was the first time they had had to admit defeat in trying to finish a meal! The Cistercian Way is a superb two day walk. 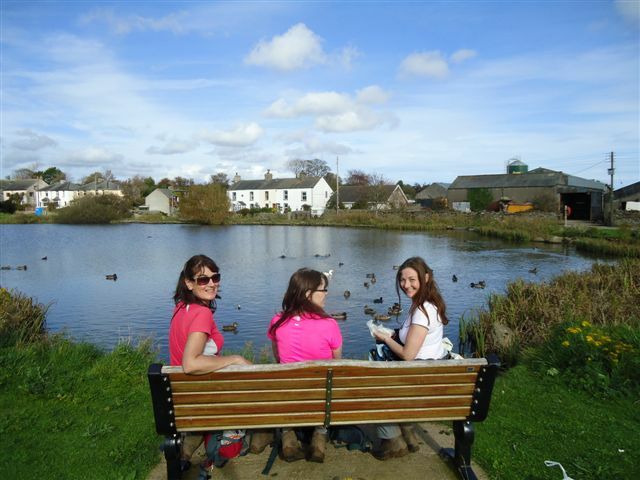 It has just about everything you could wish for – good footpaths, plenty to see, superb views and a history that spans the entire development of England. 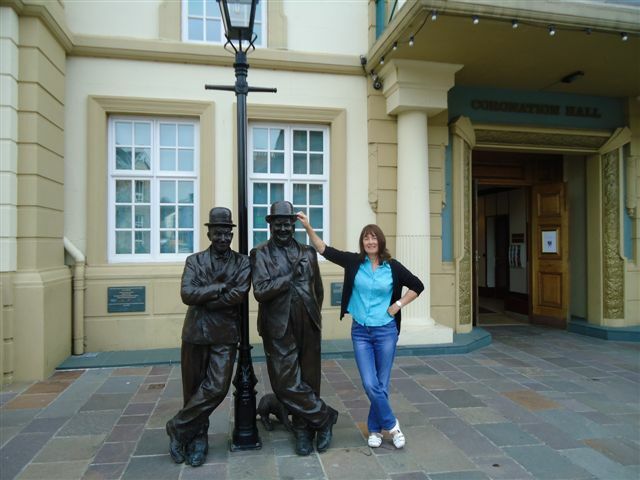 Ulverston cannot be bettered as a base – and don’t miss the Laurel and Hardy Museum!